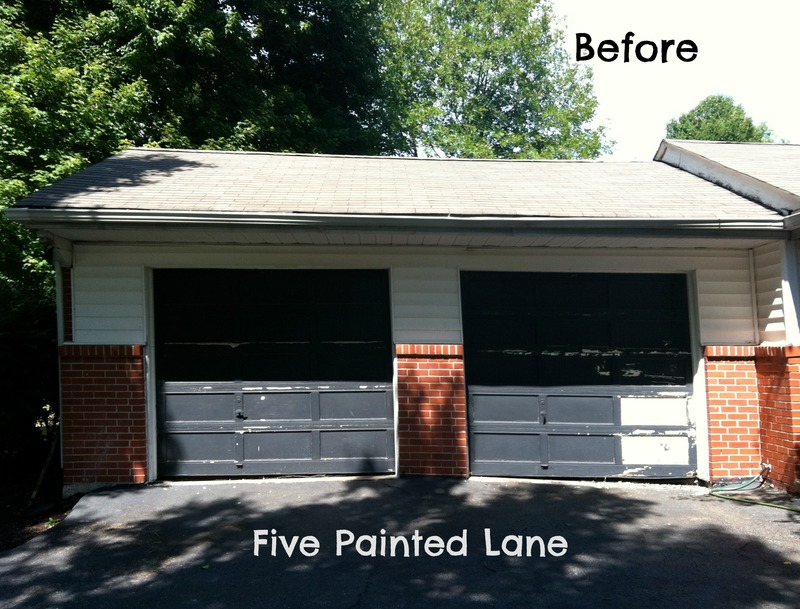 The Garage Door Endeavor of the Long Hot Summer. 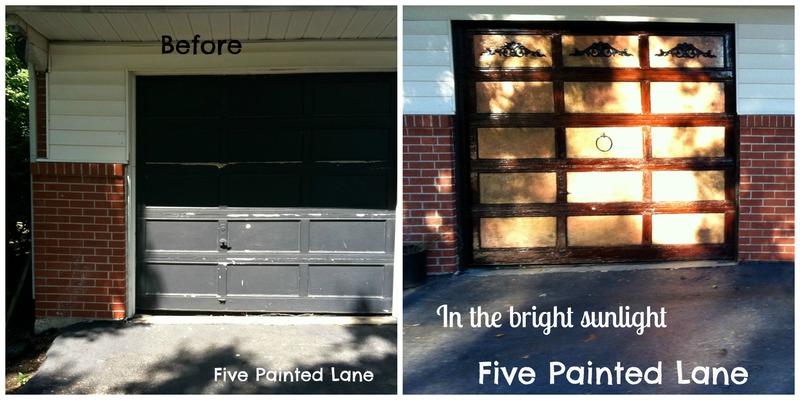 I would see wooden garage doors and swoon. I checked into them and quickly learned they are the price of a new car. 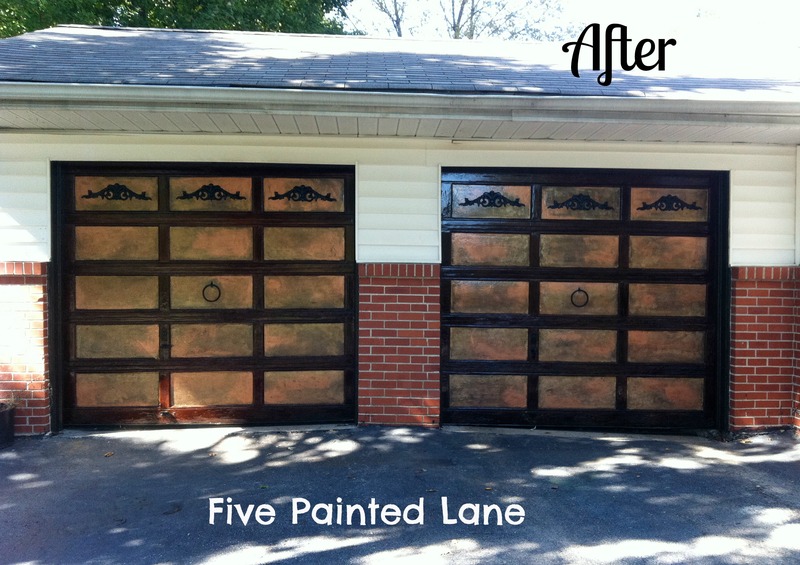 I refinished my 1958 original to the house garage doors for under $500. Once into the project I realized the panel inserts were not real wood, just the surrounding portions. Well I forged ahead with the idea of faux painting a copper patina look. I made this my summer project. I was out there a few mornings a week working a about four hours each time. First I tried blasting with a power washer it was so tedious. Then I used many gallons of stripper. I scraped and sanded all summer. I sponged on acrylic paint for the panels in differing shades of golds, browns, and rusts. The six black detail pieces that are in the top squares are actually wood normally used as accents on furniture. I painted them black to appear like wrought iron and nailed them in place. When all was dry and ready I appled a couple coats of polyacrylic. It has been one and a half years and they look exactly the same as when I finished the project. Okay the panel inserts are not real wood. So I faked a faux paint technique and hope it looks like copper panels. During the process the doors looked interesting so I thought I would use them as a background for a few photos. This is a serious game of thumb war.